The workplace today is getting more critical, and not just in Singapore. Today, employees are more educated, more motivated and with higher expectations from their jobs. Personal development takes more centre-stage in the employee of today. To cap it all, today’s employees are much more sensitive to financial compensation they receive from their jobs. Life is fast moving and employees want to be able to hold their forte in all the craziness that goes on around them. Therefore, it comes down to their employers and how they relate at the workplace. Also, research indicates that more than half the world’s population today spends most of their life working. All these people want to work for the best, and with the best. 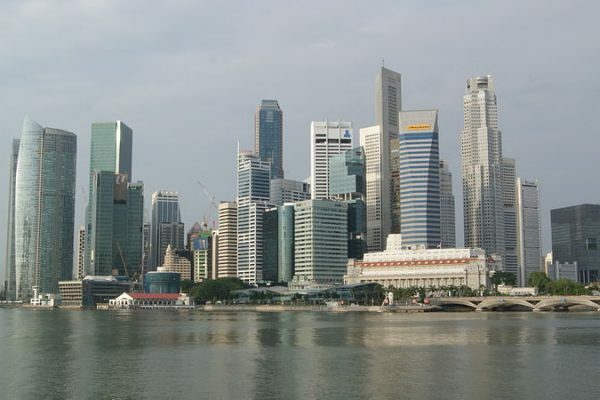 Further, research indicates that Singapore presents one of the best working environments in the private sector. The question probably on everyone’s mind is how the companies achieve such a high points in employee-employer relationship. Well, if you are one of those, this article is for you. Engaged employees are indispensable. Such an employee will own the job and will exhibit the highest levels of productivity. Also, highly engaged employees indicate that their employer engages them as partners at the workplace; that they are not just mere workers for the profit of investors. According to an Aon study for the Best Employers awards in the greater Asian region, most of the firms coming out on top have a highly engaged workforce. In fact, the research states that such firms have very high productivity levels. Like aforementioned, many people spend most of their lives at work. This makes the workplace a very special place in their routine. In Singapore, the firms that performed well in the Best Employer Awards 2018 showcased a very ingenious system of rewarding employees. As per Human Resources, an industry publisher, the best performing companies focused on reward strategies which do not only include pay. The firms understand that any company in the industry can offer as much pay as employees want. Therefore, the performers choose to focus on pay, alongside availing career development opportunities for the employees. According to Vikas Verma, a director at Aon, acquiring and retaining talent goes above and beyond salary. He owns that employees prefer partners in career rather than bosses and managers. “As the business environment gets challenging and the talent more discerning, organisations in Singapore must shift gears from providing career progression to career experiences,” he tells Human Resource. However, it is evident that proper compensation for work done is critical for good performance. Properly remunerated employees are more committed, hence are more productive. This is a great distinguishing feature of best performing companies. Especially, Singapore is a very competitive market. Talent is ruthlessly sought and the best employees need best employers. However, the Aon research indicates that the top firms emphasise on clarity and simplicity in their communication. A Gallup research concludes that employees take very serious the way their employers convey their concerns or any other information. It helps them tell whether they are important members of the fraternity or merely foot soldiers. The Singaporean companies emphasise regular and honest communication with their employees. This is because they understand that frequent communication begets trust. Obviously, a culture based on trust is the best culture. As a result, employees will be encouraged to fully participate in the strategy of the company. Also, trust will make the employees own the companies mission. This is another great quality that sets best performing companies like DBS Bank. In fact, the bank has been leading the Best Employer charts for quite some time now. Like aforementioned, Singapore is a very competitive market. It takes the very innovative to get ahead of competition. According to Science Magazine, to win is Singapore is to consistently innovate. Of the best ten companies none of them lacks an innovations strategy. All of them show an insistent tendency to try new paths, which oftentimes work for them. The best performing firms are committed to a long term strategy of adapting to and adopting new technologies. This is because the firms understand that technology is generational. For instance, all of the top firma have integrated social media into their operations to capture the young generation. How the firms handle their customers is determined by their innovative strategies that focus on them. In Singapore, properly remunerating employees and supporting their career advancement is not enough. In such an environment, there will a very high rate of employee turnover if one was not appreciated. Almost all firms provide perks that compete with their competitors. In this regard, best performing companies set themselves apart by formulating a systematic way of showing appreciation to the employees’ efforts. This includes salary bonuses. This way, employees feel like they are part of the progress that goes on. They feel like they are working for something that they share in. Lastly, and very important, the companies understand that work is part of the employees’ life. One might get bored easily if what one works for daily does not seem to be fulfilling. Research indicates that fulfilment works more than salary increment towards retaining an employee. What distinguishes the best performing companies in Singapore is the fact that they align their employees’ purpose with their job. The employers structure their work in a way that one gets a feeling of accomplishment at the end of the task. To achieve this, the firms ensure very high levels of employee engagement.